A retrospective review of 28 patients with 29 trans-scaphoid perilunate dislocations who underwent open reduction and Herbert screw fixation is presented. The majority of the patients had satisfactory results at 24 months of follow-up. 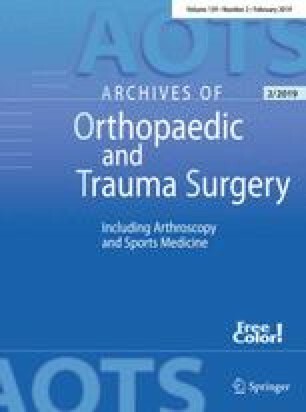 A significantly better range of wrist motion was obtained in postoperative patients treated with cast immobilization for 4 weeks compared with those treated for longer than 5 weeks. The scaphoid fractures united well, with proper alignment of the carpal bones, regardless of the length of cast immobilization. We recommend open reduction, internal scaphoid fixation using a Herbert screw, carpal ligament repair and early cast removal in the management of trans-scaphoid perilunate dislocations.